Thread: What were your favourite 80s clothes? Re: What were your favourite 80s clothes? I certainly did not find this a fashion statement in the 80s. To be honest, I would have been a t-shirt and jeans person back then - I remember wearing shell suits but that was only around 1991-1992 when most other people (cf David Icke) wore them. I would never wear them today, and I was thinking "did I really wear that back then?" Donald's picture above makes me think of the Scousers characters on Harry Enfield's Television Show. Slim black Madness tie with piano keys down one side. God I loved that thing. I also quite liked my pair of Deckers when they were briefly in fashion back then, as they were as comfortable as hell. Had a fishtail parka during the 1980s Mod revival thing - they were expensive as hell, so mine was a second hand thing which didn't fit and thus the fishtail ended somewhere round my backside. But I had a fishtail parka and that's what counted. Flat-top haircut. As it grew out, I turned it into one of those fluffy Limahl style mullets - my most grievous fashion sin. I regret it even now. Really beat up white baseball boots, laces un fastened. Black 501 jeans, again beat to cr@p with rips holes and frays. T-shirt with an unfastened lumberjack shirt over the top of it, or a really baggy sweat shirt. Wow Limahl - he is going back a bit .... but what a stylish dude he was MalcolmAndSheldon!! Though I never went in for Hairstyles then tbh - but Ties yer - i lved the 80s creations (as I have said elsewhere on here about Only Fools and Horses and del Boy's "Northumbria Bus Company Style Tie" ... I loved creations like those with mad colour merges and mixes and the Piano ones of course (though idealy worn just with the Skinny bit showing)!! Thanks for the memories here mate!! I loved these sort of Shewll Suits - but more 90s-ified!! A Vintage Shop near me is crazy on the amount they are selling and seeing them on Sunday there made my day/part of the start of 2018 even too!! 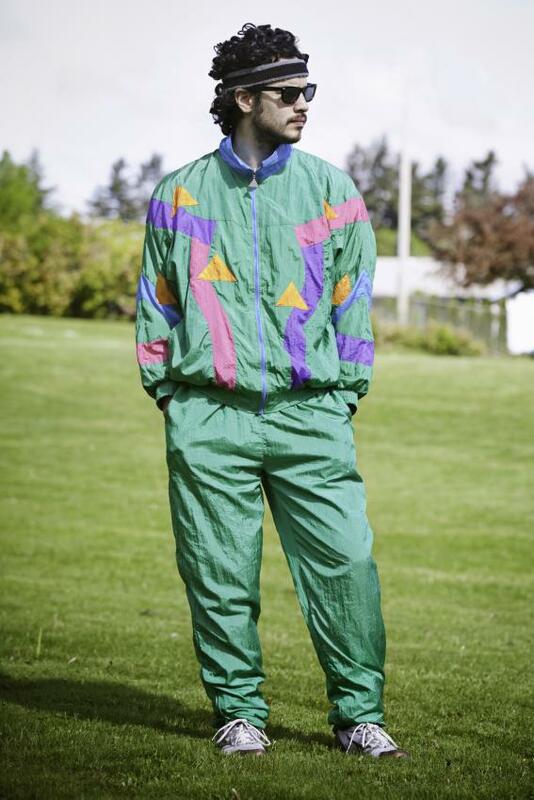 Around 1991/1992 - we had a trend to wear the Jackets as Coats for School - and a few of us asked/begged to wear the Trousers for PE (as it was allowed) and they said "yeah, ok" but it always 'pended on the Teacher that day - so never happened lol!! I had forgot these Tex,great TS indeed and so often from memory guys in Adverts or in Magazines wore them to look acely trendy I found/thought!